The most wonderful thing about mathematics? Celebrating Pi Day (March 14, aka 3.14) with … pie! Pi: The mathematical constant. The ratio of a circle’s circumference to its diameter. An irrational number. Pie: The constant, without fail, go-to dessert of the masses. Irrationally loved by (most) everyone. Plus, it’s a circle. Mostly. 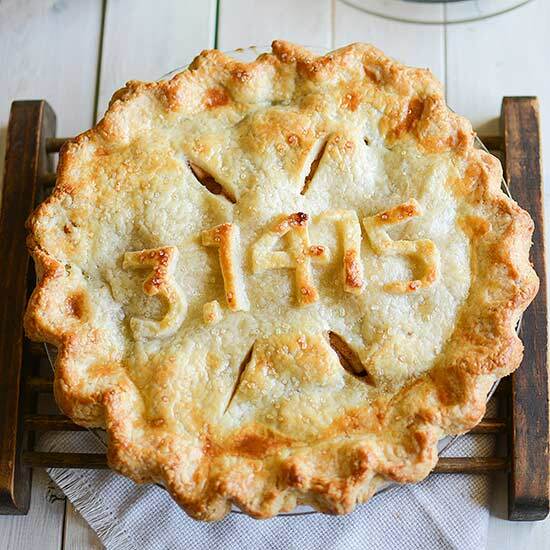 Celebrate National Pi Day with a Bourbon Apple Pie that winks at the day’s star. Get this wonderful Bourbon Apple Pie recipe from Sprinkled With Jules. What could be better than an actual pi pie? Whip up this Greek pi symbol pie, chock-full of cherries and geeky goodness, with these step-by-step instructions from Hertzgamma. 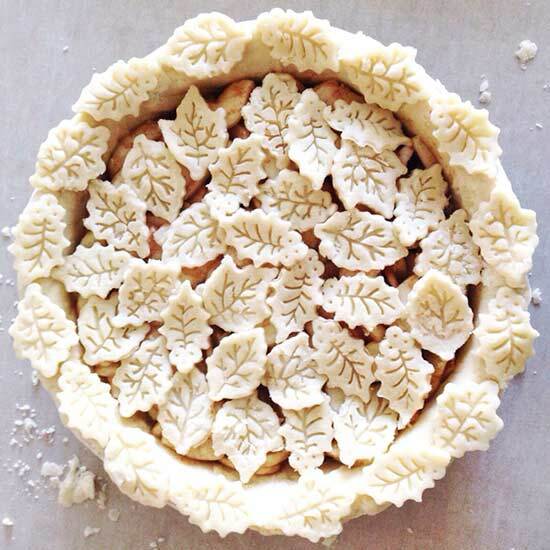 Math is complicated, but pie doesn’t have to be. 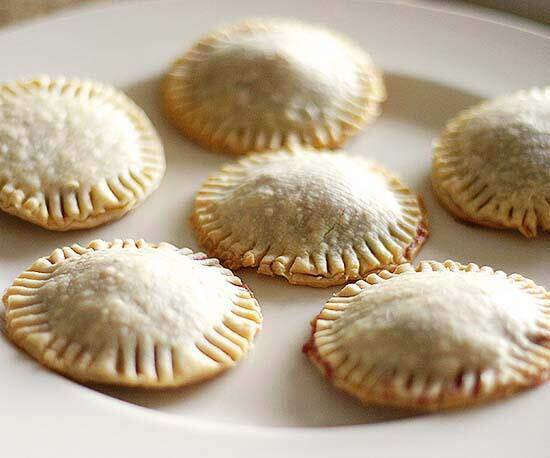 Take these adorable jam-filled Mini Pi Day Pies. 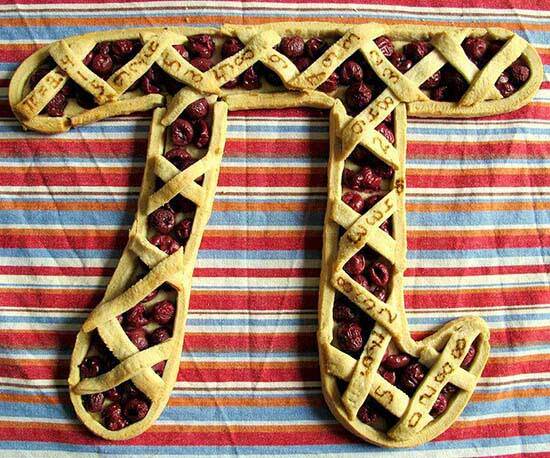 If it’s a delicious and easy Pi Day treat you’re looking for, you’ll find all the lovely details and recipe at ‘a Casarella. 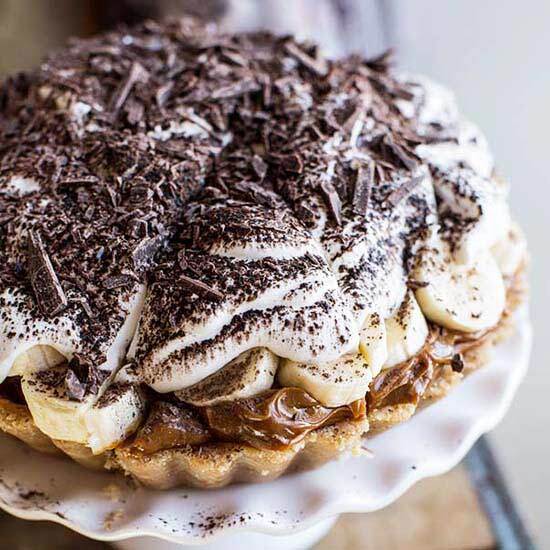 If it’s the wow factor you’re going for, you might want to think about piling coconut whipped cream covered in chocolate shavings on top of bananas and caramel. Put it in a cookie crust tart and call it a Pi Day miracle! You won’t believe how deceptively easy this one is. If you didn’t get an A in math, you’re sure to score extra credit points for this Pi Day culinary concoction. Recipe at Half Baked Harvest. A Pi Day (or any day) staple is the apple pie. Even better if it’s super pretty and looks like it took forever, but it really didn’t (we won’t tell anyone!). Find the recipe and all the details on how to create the stunning look at A Pretty Life in the Suburbs. Possibly you can’t imagine a scenario where you’d even need to know the ratio of a circle’s circumference in relation to its diameter (and you don’t really care because … pie) and therefore you’re the free-spirited kind of individual who can appreciate a pie that’s a little more rustic. 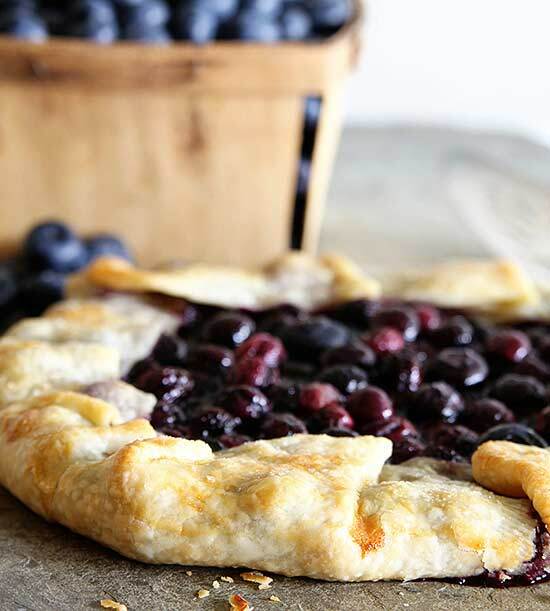 If you add blueberries and call it something delicious like a “Crostata,” which is Italian for “pie,” you’ll have a delicious Blueberry Crostata. The recipe can be found at House of Hawthornes. You can’t talk pie without talking chocolate or pecan. But if you pair the two, you’re gauranteed to please even the most educated of palates. Go one stellar step further and throw in some Kahlua and you’ve got yourself a Pi Day party! 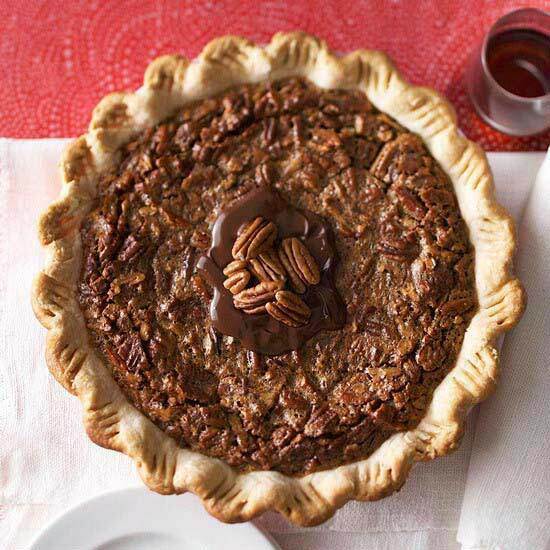 Check out the Chocolate Pecan Pie with Kahlua recipe for one truly epic celebration.